Mainboard-listed property group Oxley Holdings announced on Dec 13 that it has acquired Chevron House in Raffles Place for $660 million, which translates to $2,526 psf. The 32-storey commercial building is made up of a five-storey retail podium linked directly to Raffles Place MRT interchange station and a 27-storey office tower. The retail podium has a net lettable area of 45,613 sq ft, while the office component makes up 215,667 sq ft of net lettable area. The building, which was completed in 1993, sits on a 29,891 sq ft site with 71 years remaining on its 99-year lease. Deka Singapore, a unit of Germany’s DekaBank Group was the vendor of the building. 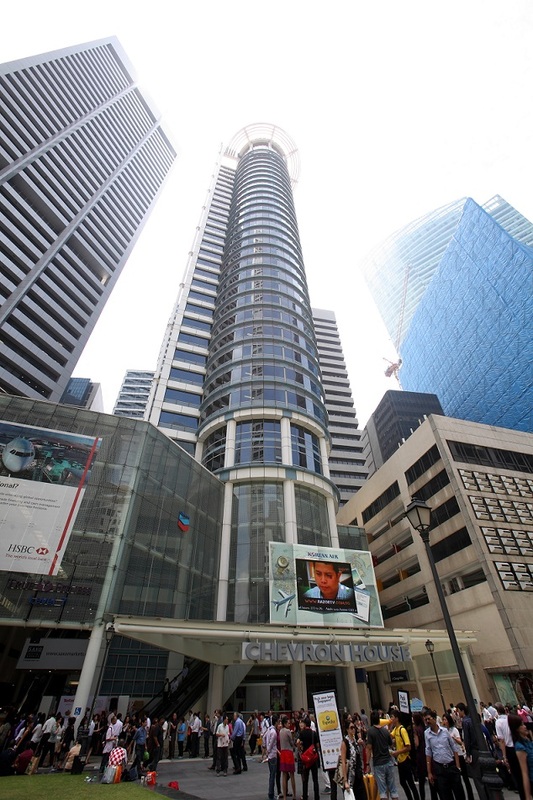 Deka, in turn, had purchased Chevron House from Goldman Sachs for about US$420 million in Nov 2010. The Goldman-linked property fund had acquired the office building from CapitaLand in 2007 for $730 million or $2,780 psf, which was a record price then. The latest purchase by Oxley marks the third time that the commercial building has changed hands in the past decade. Oxley intends to conduct some asset enhancement works to the property, subject to authorities’ approval. According to Jeremy Lake, CBRE executive director of capital markets, the sale of Chevron House is the last of a few major office deals that took place in 2017: PWC Building, which changed hands for $746.8 million; GSH Plaza ($663.5 million); 50% of One George Street ($591.6 million) and Asia Square Tower 2 for $2.09 billion. “The office investment market is likely to enjoy another active year in 2018,” he says.